Baby Breath Singapore – Why You Give Them Baby Breath Flower? TheBloomOutlet.com | No matter what flowers you order, you will never go wrong to include the Baby Breath flowers in the bouquet. Do you familiar already with these little and beautiful flowers? These beautiful tiny flowers are called Baby’s Breath and are usually used to complete flower arrangement in almost every bouquet you would find. Where we imagine any other flower as the bread, the Baby Breath flower is the butter—thus what makes a flower arrangement complete; bread doesn’t taste too good without some butter in it, right? Even so, the Baby Breath flower also actually perfect to be the main flower in the bouquet or any design and decoration because they are just beautiful, especially the Baby Breath Singapore. 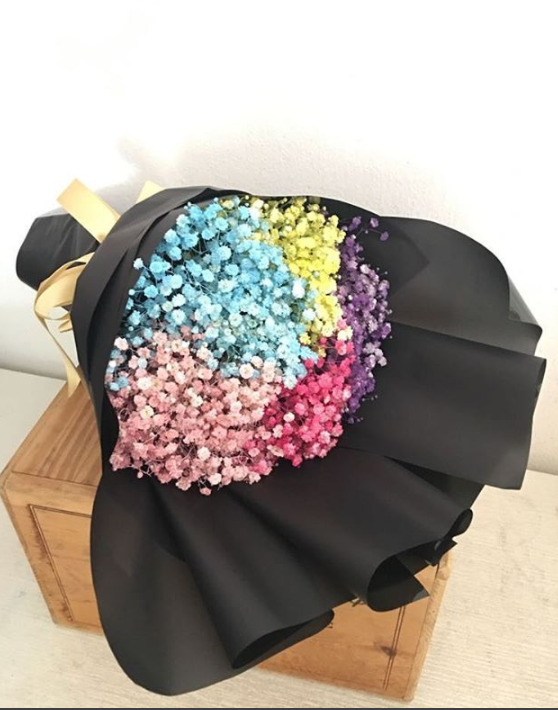 In Singapore, where flowers are so popular, and flower delivery are everywhere, it is better for you to look for the best florist who can really provide you with the best flowers like Baby Breath. You can use the Baby Breath for just any occasion in just anytime. A wedding is perfect for Baby Breath since the Baby Breath means an everlasting and undying love. You can use the Baby Breath flower for the wedding decoration, use it as the bridal bouquet, or simply as the gift for the happy couple. Just like a wedding, engagement is also one of the most important events in people’s life. This is the day where they are officially told “the world” about their intention to marry. Baby Breath which carries the truest meaning of heart will be the perfect flower to complete the engagement day, then. No one would deny the happiness they would feel when they receive flowers as their birthday gift—especially from the love of their life, or simply someone they love and care about! You can be the one who wishes the happiest birthday with a bouquet of Baby Breath flowers and makes the special day even become more special. There is a reason why there is “Baby” in the name of Baby Breath flower. They are as pure as a baby and is the perfect flower to represents the innocence of a baby. Hence, a bouquet of Baby Breath is a great idea to make the new mommy happy. After all, you can simply give a bouquet of Baby Breath as a surprise on any day you like. Order the Baby Breath flower here and make your loved one smile!